While I recommend owning your own platform and generating your own organic life insurance leads, there are times when you might have to buy some. Should You Buy Life Insurance Leads? Unless you have some other form of income while you’re building your own lead-generation machine (via your website, referrals, etc.) you need to make some money. There’s nothing wrong with buying some quality life insurance leads to tide you over until your machine is cranking by itself. I always advocate building your own platform that will generate leads for you. In most cases, this is your website. We'll talk a little bit about that later on in the article, but first let's talk about buying insurance leads. An exclusive lead is one that is sold to a single agent or agency. A “shared” lead on the other hand, gets shared to multiple sources. That means the poor prospect might get five or six calls in a day. Many lead vendors are churning out shared leads because they are more profitable and insurance agents want to feel as if they’re being productive – it gives them a false sense of comfort. The only way to really win with shared leads is to be the very first agent to call. This also means that you’ll have to be permanently attached to your desk, ready to dial as soon as you hear the “ping” in your inbox. That’s no way to live. The reason I say to buy exclusive life insurance leads “whenever possible” is because few exclusive leads actually remain exclusive. The lead generation company might issue the lead exclusively to you, but they bought the lead from a shared list. Or the prospect might have filled out several forms and quote requests during their search. ​That’s actually happened to me. I got calls from several agents and, after sharing that I was a marketing consultant who lives and breathes this stuff, I asked if I was an exclusive lead. All of them told me yes… so that’s something to think about. If you can’t find (or afford) the exclusive leads, purchase high-quality shared leads that are limited to a specific number of agents, like two or three. You might be able to find a wider selection of leads at a lower cost. When you’re licensed to sell life insurance in multiple states (or nationally), you can negotiate with lead vendors to get a discount on their typically lead prices. You get access to leads from all over the country at a significantly cheaper rate than if you approached each state individually. This works because most agents are licensed in only a few states, which drives up demand and cost per-lead. If you can take the “overflow” leads, where demand isn’t as great, you can negotiate a better rate. Plus, geo-targeting is one of the factors lead companies use when determining a lead’s price. They figure if they have to find out exactly where the leads are coming from, they should charge you a little more. When you are able to work across the country, you don’t need geo-targeted leads. That can save you some money too. Another benefit to getting licensed in multiple states is that you can buy leads in under-served areas. Most agents are licensed in the most populated states, so they buy their leads from those states. The 10 least-populated states are under-served, relative to the populous ones. Many life insurance agents will filter out the high-risk leads because they aren’t ready-made customers, but you can take advantage of their loss. Since agents aren’t calling high-risk leads, it means these prospects aren’t getting inundated with calls all day. Plus, the high-risk folks typically have higher premiums, which mean higher commissions for you. When you find high-risk leads, they’re almost always cheaper than regular leads. While a regular lead might run you $20-35 (or more), high-risk leads might be $10 or less in bulk. You might have a lower closing ratio, but the bigger premiums can make the numbers work. Do the math yourself and figure out what it will take to make high-risk leads work for you. The more leads you buy, the less they cost. Now, this is a bit of a catch-22. You need leads to get money to get the money to buy leads; it’s the classic insurance agent cash flow crunch. Here’s what you do – you find other agents and pool your lead budgets together to get a lower per-lead cost. If you’re connected with a few agents who are open to buying leads with you, you can join together to get a better deal. Oh, by the way – use a business credit card and pay it off every month. That will help with your cash flow. Since it takes, on average, 60 days to get paid on a fully underwritten policy from the time it’s sold, you’ll delay the marketing dollars coming out of your account by 30 days. 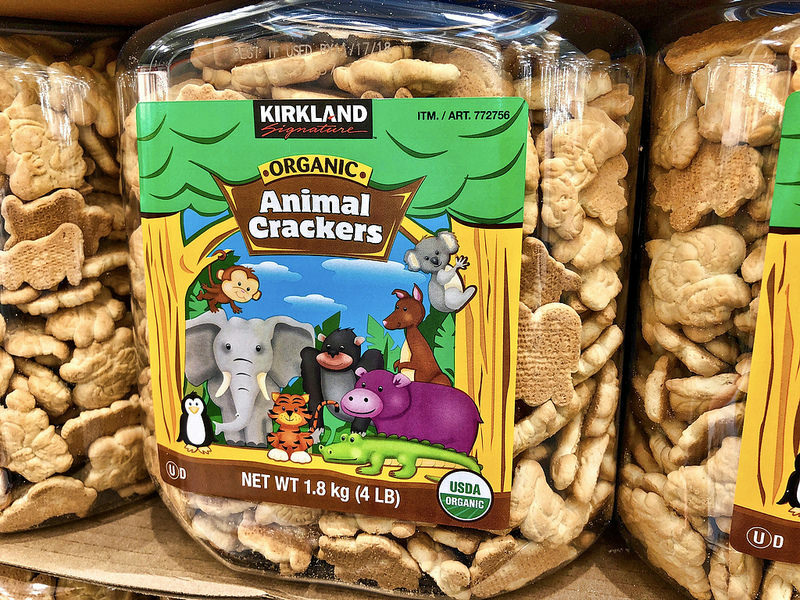 You can buy animal crackers in bulk - why not buy your insurance leads in bulk too? I want to make it clear that buying life insurance leads should not be the end-all be-all to your business. While you’re buying and marketing to these leads, you should be building your own website and optimizing it. If you want to learn a little bit about making your site rank, read this article I wrote about SEO for financial services. Because SEO takes some time, I don’t want to discuss it at length here. If you’re reading this article about buying leads, I’m assuming that you want results fairly quickly. That’s when you buy traffic. If you have ever complained that you don’t have enough site traffic, you’re focused on the wrong thing. You don’t actually have a traffic problem. Anyone can always get traffic if they buy it. Your real problem is that you either have a cash problem or a knowledge problem. I’m going to assume you have a knowledge problem. There’s something that you don’t know about generating traffic. Most of the time you don’t know your numbers – you don’t have the confidence that if you spend one dollar, you’ll get five back. A clear call to action. This could be “enter your email for a free report”, a form to fill out for a quote, or a phone number to call you directly. Whatever it is, make sure it’s the only thing for them to do. If you have other distractions on the page, it will take away from leads doing what you want. A few sentences about what they’ll get and why they should fill out your form. Your picture and a few logos to build trust. Another image (usually in the background) that evokes emotion. Pictures of families work extremely well. If you learn absolutely nothing from this article except one thing, make it this one. Put a picture of a family somewhere on your landing page. When you do this and see the difference, please send me a check. I’ve found Google Ads to be the best place to buy traffic and generate your own insurance leads, but there are a few keys you need to know to be super successful. Target a niche with your ads. Generic insurance ad clicks are EXTREMELY expensive on Google Ads. If you niche down, to scuba divers or obese people (just an example), you’ll dramatically lower your cost-per-click. Plus you can tailor your ad. Be very specific with your ad. This is another reason why I suggest picking a niche. Let’s say that I want to niche down to “roofers”. Not only will their premiums be higher, but my ad will ONLY show up when someone types in “Life insurance for roofers” into Google. Be as specific as possible with your terms so you only get warm leads. You’ll have a high chance of converting leads when you focus on a specific area. Continuously test everything. Your headline, keywords, bids, etc. Before you start your own campaign, I suggest using an intelligence tool like SEMrush to see what ads your competition has been running. If they’ve been using the same ads for over a year, you know that the headline, copy, and keywords are working for them. If you do not have leads and sales coming in, you do not having a business. I know a few insurance agents who use lead generation services as a necessary evil. They buy leads from online shoppers who are looking for insurance. These leads can get expensive, and they’re usually sold to multiple agents. If you don’t get to them fast, you’re throwing your money away. The ideal situation is to build from local to national and develop an inbound marketing machine as you go along. When you do that, you will slowly be able to wean away from the bought insurance leads and work with the ones you generate yourself.